This is an old, hand-painted, porcelain and brass lamp marked Czechoslavakia. It has been painted with a beautiful, gold peacock in a tree (Ming?). Both the leaves in the tree and the peacock's tail have a pretty embossed painting on them. The lamp stands 23 1/2" tall and is adjustable to about 26 1/2". It has double sockets and pull chains,along with the original cloth covered cord and plug, but these would have to be replaced as they are not in good condition. 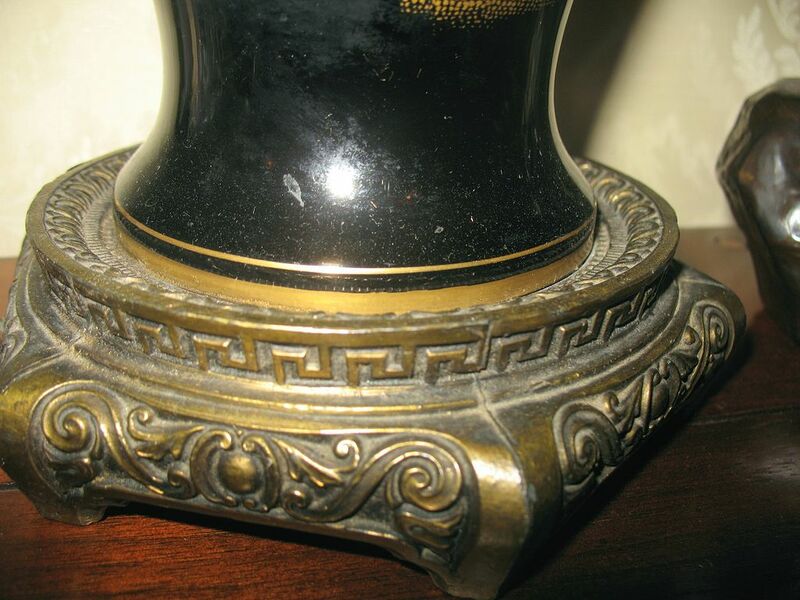 The base is very nicely made with a brass detailed decorative, oriental, design and measures 5 1/2" in diameter. 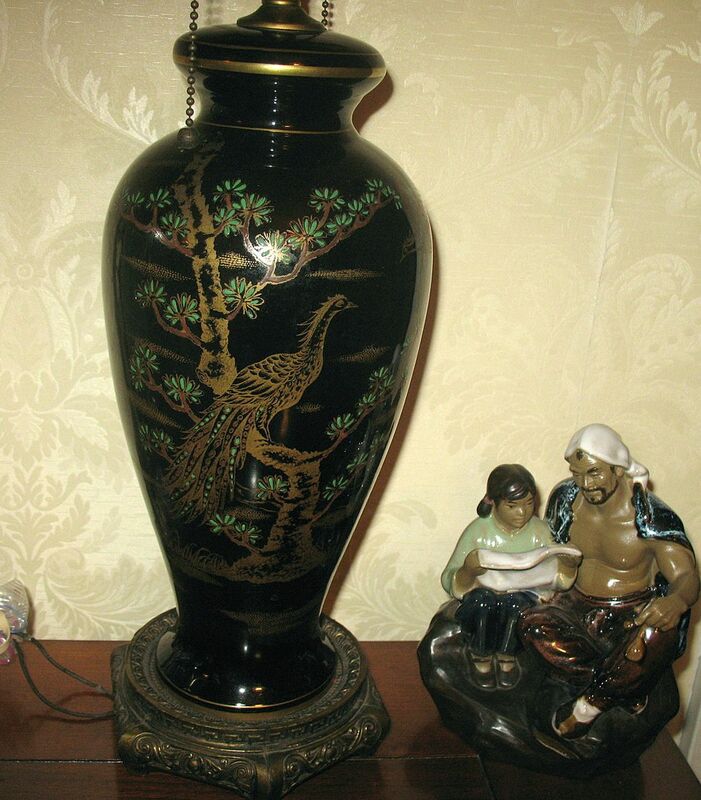 The porcelain vase itself measures 12 1/2" high by 6" in diameter. The finial is unusual and may be broken, it is hard to tell (see photos). 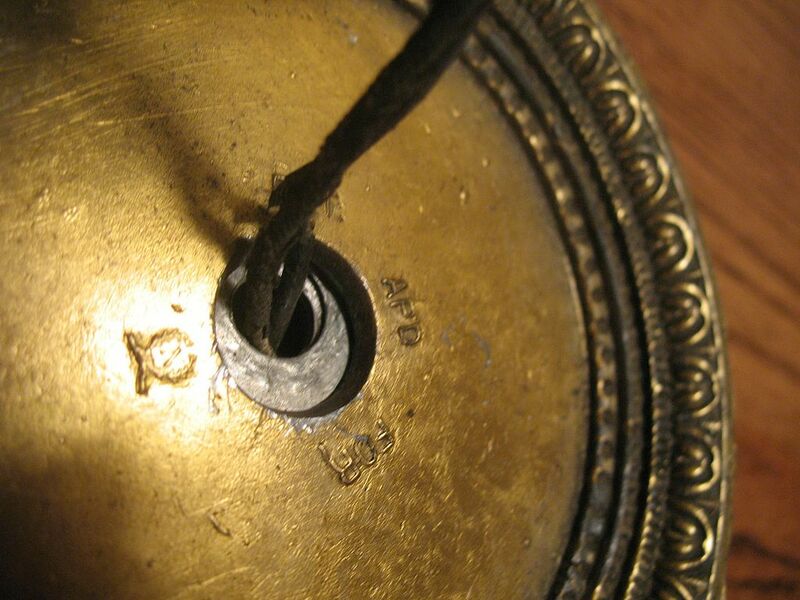 Some parts of the lamp that are brass colored are metal and not brass and some are brass. The porcelain lamp is marked on the bottom inside a circle Czechoslavakia and the brass base is marked with a cartouche and PAT APD FOR. The sockets are marked Levolie - Reg. US Pat - 360 W - 250 V. The lamp has no cracks or chips, just some minor wear to the gold paint and minor scratches - it does need to be cleaned.